In this home study course, you will learn the art and practice of a specific style of clinical Shiatsu called Shiatsu Anma. Based on both the theory of acupressure energetics originating from Chinese medicine and massage techniques of Japanese origin, Shiatsu Anma Therapy addresses illnesses and painful conditions in the body stemming from blockages in the flow of energy, or chi, within the acupuncture meridian (channel) system. You will learn how to assess the body's energy channel system with regard to deficiency and excessive states and apply appropriate techniques that restore the balance of chi within the body. As the flow of chi is re-established in the channel system, pain is relieved and the healing process of the body begins. 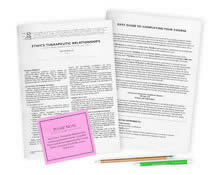 The manual that accompanies the DVD presentation in this instructional program contains pertinent information with regard to the theory, application, and specific treatment techniques and sequences for several painful conditions. A review of Yin/Yang theory and Meridians is included both in the video and the manual to help familiarize you with the fundamentals of this practice. A laminated Acupuncture Chart that depicts the meridians as well as specific points on the channels is included as a useful reference when working with the various channels and points. An additional text accompanies this program as supplemental material for your reference in learning and practicing the art of Shiatsu. Use this reference to broaden and deepen your practice of Shiatsu Anma Therapy. I liked the fact that the test was available for viewing before I took it. It helped me focus on what was being tested, and I got to learn more things. I like the two different books, as well. It's nice having a lot of references. The chart was also helpful, and the DVD gave me a visual. I really enjoyed the DVD. I found it very easy to follow. The course book was also extremely helpful. I appreciate how it follows the DVD. It is a great tool while trying to learn all the meridian points and connections. I've been interested in Shiatsu since I was in massage training. 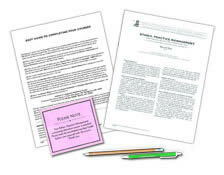 The acupuncture point card, textbook, DVD, and supplemental booklet all come together rather well for independent study. I feel prepared to start integrating this modality into my massage practice. I enjoyed this course very much! It gave me more clarity on shiatsu facts than I previously new. I actually had fun reading the manual and taking the exam! It is a very organized and relatable course. As I only administer Deep-tissue techniques I felt that the channels and their associated Ashi points were invaluable towards my treatments. The extra DVD and text book included in the package was a bonus! 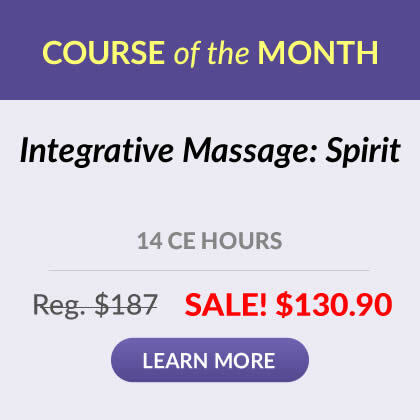 I would highly recommend this course to anyone seeking to meet their requirements, as well as anyone seeking additional research in the magnificent field of massage therapy and body reprieve! I had been waiting for license renewal time to pass so I could dig into this course, looking forward to it since I first found it on the site over a year ago. Loved the subject and material made a rather complex system of study very easy to grasp. With the caveat that one is already familiar with TCM, of course. Thanks! My favorite course from you folks yet! I really enjoyed this course. It will certainly compliment my practice. I took some basic shiatsu in massage school 12 years ago and a lot of the things came back. Then, additionally, I learned some great techniques for working the points and the sequences. The video was clear, and Instructor Hickey did a great job in a concise and clear way. The video, the charts, the reference book and the course book were all great. I used all of them and will keep the chart handy until it becomes second nature. I treated a mild stomach upset on myself during the course and it worked like a charm! Thanks - I really enjoyed this course. There are no trick questions. All the answers are clearly found in the text. Both the books and the DVD are excellent sources and will refer to them as I continue to learn and practice each technique. I know this course is just the beginning, and that it will take many more hours of continuous practice to get the feel of deficient and excessive Qi in the meridians. 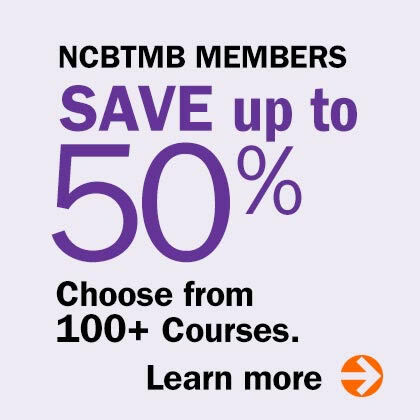 I do believe this course is worth every bit I paid and would recommend it to others. I think this course was excellent and would like an advance course maybe in the future. All the courses I have taken were excellent. I enjoyed learning from the instructor, John Hickey. He was thorough and easy to follow along with using the video and the text book. His years of studying Chinese Medicine is abundant and makes me want to learn more from him and continue my studies in this category. Loved this course! Very great information and clear! DVD is so helpful to explain and show you how to practice Shiatsu Anma! Can feel the meridians intuitively in my work. Had almost no education in this massage theory in school and it is so important. Appreciate the information. Thank you. The course material is well-done. I enjoyed the course very much. An excellent presentation by John Hickey! Looking forward to incorporating information into my practice. Great review of Chinese anatomy. I learned new concepts and point pairing. Enjoyed this class very much. Great course. Can't wait to take another. I did more studying from other sources to find another way of explaining....when I did not think I was getting the concepts mostly to do with the Five Elememt Theory or to separate the meridians. 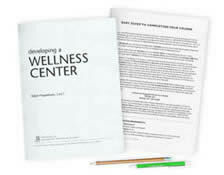 I studied the workbook twice and I think I understand enough to continue my practice to include Shiatsu Anma in my life long learning of "The Body Extrodinaire." I am very satisfied with the course and testing and I will be back for more. It helped me understand the material to a point that I want to learn more and my interest in the subject was enhanced. Enjoyed the DVD and watching the techniques. Will definitely use this therapy in my practice. I learned a lot in this course! Great info! Everything was very helpful and I got a better understanding of concepts that I did not fully grasp in school. I also learned new techniques that will help clients in my practice and myself! I am actually a certified shiatsu therapist and thought the quality of information was very well put together and even approached things in a different way then normally presented. I really like the instructor on the DVD. Excellent course...very informative written material in addition to a fantastic DVD. I really enjoyed it! I enjoyed learning how to better use Shiatsu techniques. I can see myself incorporating these into my practice. This course was so interesting to me. I loved the more technical/medical aspects of the subject matter. It has inspired me to look into more courses and modalities closely related. I found the course book, DVD and additional material very helpful. I found this to be a detailed refresher course and I gained new knowledge as well. I liked that I was able to watch the DVD and follow along in the workbook. The course really tailored to all different learning styles. A lot of information was given for this course. This is not something I would incorporate into my practice immediately. I will definitely have to practice various treatment approaches before actually working on clients. But I loved the learning material provided. This is the best home study course I have done, and the first from this company. It has encouraged me to do more home study. I was familiar with the meridian system, and use it in some energy work, but this was more advanced and in depth and I feel I needed the enhanced study. I think my clients will enjoy the shiatsu experience. I am very pleased overall with this class. A wealth of information to absorb. Wow, this course was amazing! Very complex, though, and I'm sure it will take much review of the course materials and practice with family and friends before I'd feel comfortable performing shiatsu sessions with clients. Most valuable, fascinating and inspirational - I can't wait to incorporate this into my practice. Thank you! This is a great course for anyone interested in shiatsu or Chinese philosophy. The demonstrations were wonderful and done so that this therapy can very easily be incorporated into a massage treatment. I love this course and I really learned a lot about Shiatsu. Now I can incorporate this technique when doing massage. This is really very helpful and the video is excellent. I have studied Chinese medicine in respect to bodywork for a few years now. This course exceeded my expectations of what a home study course could provide. Thank you!